Frankyeffe was born in Rome on September 23, 1985. At 12 years old(1997) he approaches the world of music especially fascinated by the progressive-trance melodies. Decided to find out more, at 15 years old he bought his first record player and he started playing in small parties but very soon he played with many dj’s prominent and sometimes he organized himself some parties. For 3 seasons he conducted successfully a radio programme”Mix in ACtion” with Mdsdj Mix in Action aired on “Radio Channel Zero”. From January 2008 every Monday and Tuesday its sets are be aired also on “Loop Live Radio” in the programme “ETM”. 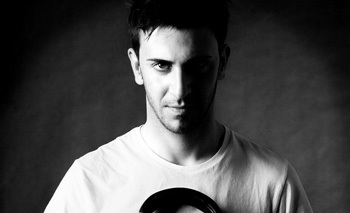 His dj’s sets range from minimal to techno, always passing on the disk more melodic and with the sound more refined. At the moment he is working at new tracks and he is getting ready to partecipate in some events.